Scintilla Silver Q Special paint order. 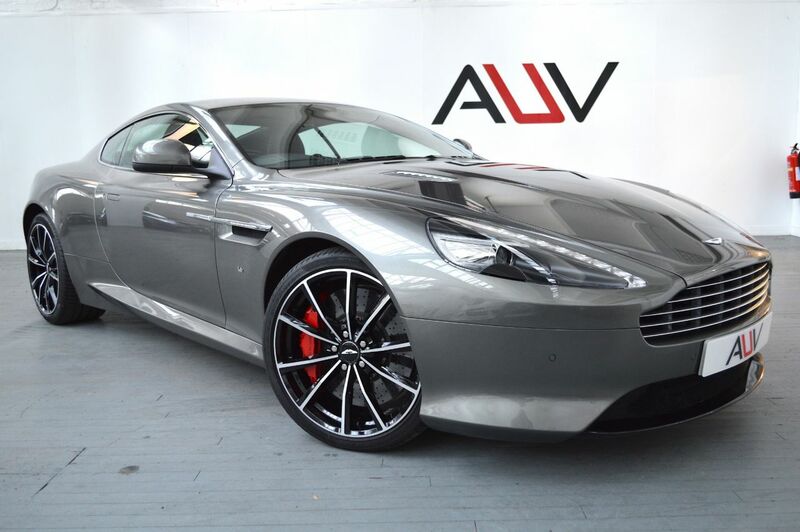 We are very pleased to offer you this absolutely stunning Aston Martin DB9 GT in a very rare paint finish which was the launch colour for the AM 177. Touch Tronic 2 transmission. Obsidian black Caithness leather sports seats, electric heated with memory embroidered with the GT logo. 2+2 seating arrangement. Galena Silver embroidered rear seat logo. Warm charcoal seatbelts. 10 spoke gloss black 20-inch diamond turned alloy wheels with red brake callipers. 177 multifunction steering wheel finished in Leather and Alcantara. Silver paddle shift. Full-length Twill carbon facia trim. Carbon interior pack. Obsidian black Leather roof headlining. Automatic dimming rear view mirror. Obsidian Black heavyweight carpets. AMi II Infotainment System, 700-watt Premium Audio w. Integrated Apple iPod4 & 3.5mm Aux Input Socket, Automatic Temperature Control, Bluetooth Telephone Preparation, DAB Radio, Electric Windows, Power folding door mirrors. Rear Parking Assist Camera w. Front and Rear Parking Sensors, Satellite Navigation System, Tyre Pressure Monitoring System. Before you reserve a vehicle we ask that you read both our Business and Warranty conditions in the 'Terms' tab above. Specialists in vehicle financing we can offer our clients market leading, bespoke funding packages. Finance examples are subject to status, regulated and monitored by the FCA. Goods and services are supplied by Approved Used Vehicles Ltd. For further information on how to reserve this vehicle or tailor your finance package please call us on 01455 446505.